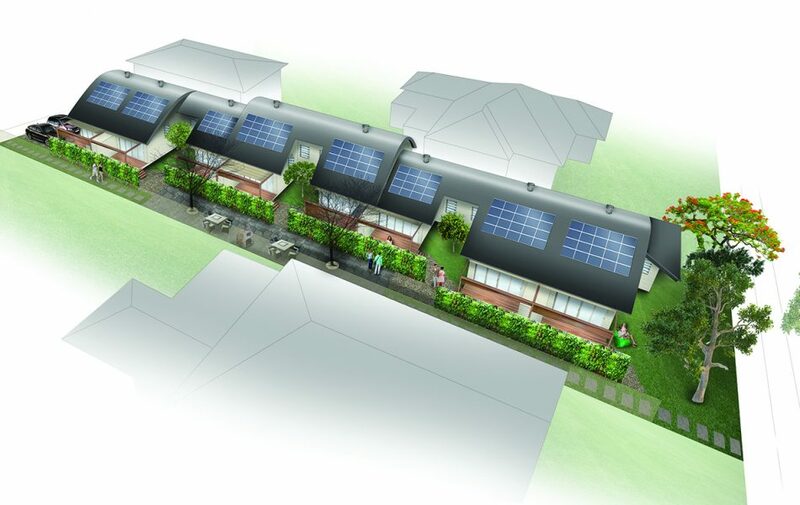 The Pocket Neighbourhood competition sought to insert eight tiny dwellings within an existing neighbourhood. 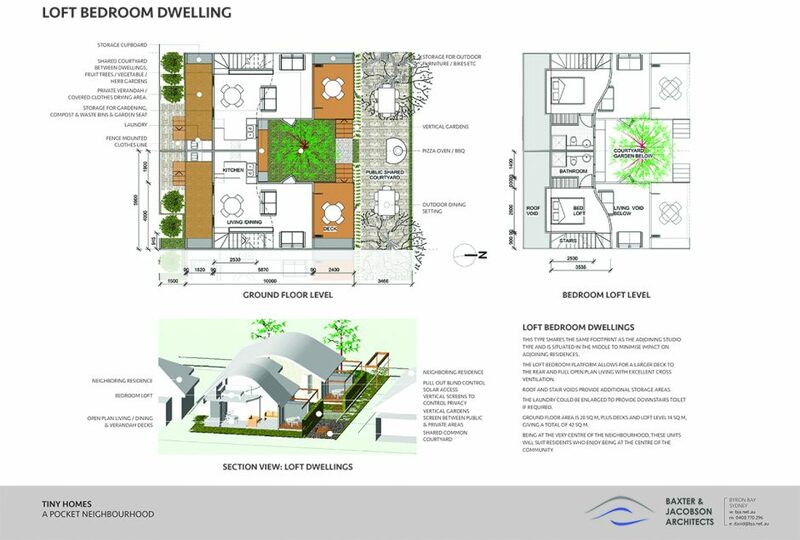 Our submission was runner up in the Sustainable Housing for Life Award, 2105 and offered a scale and form allowing a significant change in density and type to sit harmoniously within the existing character of the area. 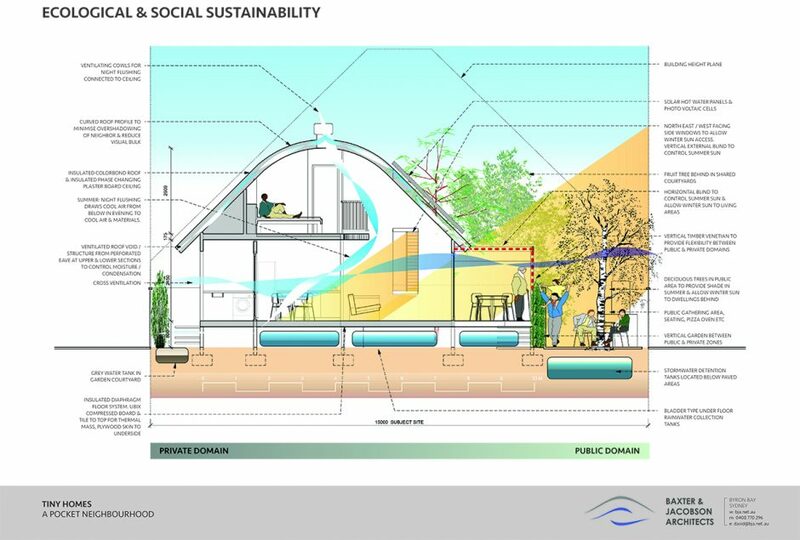 Interesting, innovative and sustainable dwellings will encourage the formation of a community whilst respecting the need for individuals’ privacy. 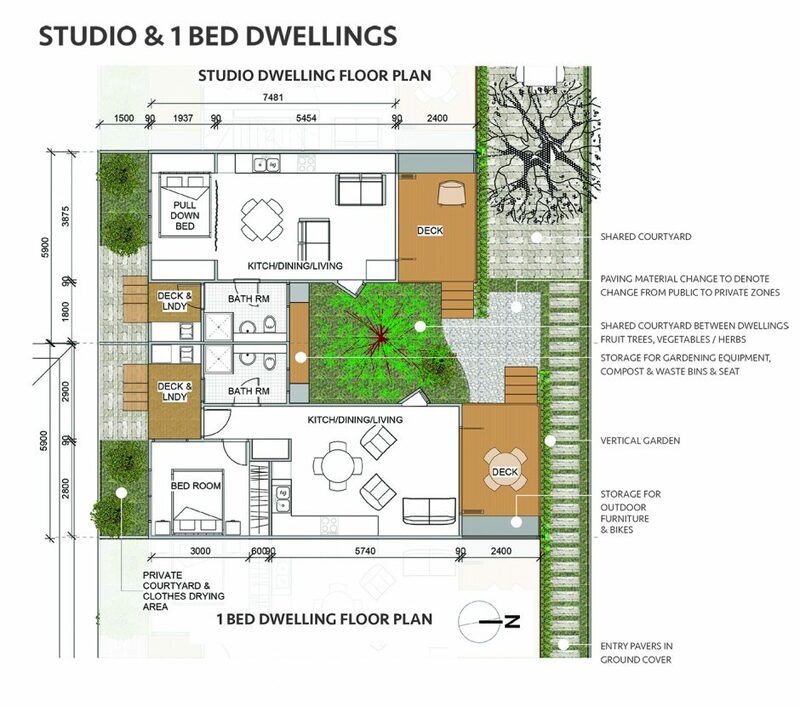 SEPP 65 minimum sizes for studio and one bed apartments have been adopted so that additional area is available for common areas which help develop the sense of community. Economic, Ecological and Social sustainability were integral to the design intent. Services are renewable, food production is encouraged, community interaction is engendered and materials chosen to both minimise cost and benefit health.